If you're looking for 3 piece can making tooling, or individual can tooling components like: carbide can tooling, compression tooling, shell punches, extrusion dies, body maker punches, or forming punches Bridge Tool & Die is the shop you want to connect with. 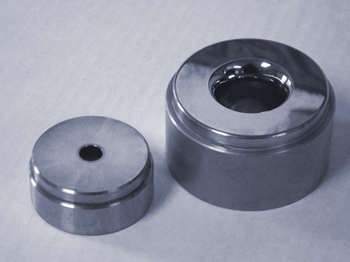 Our company is dedicated to producing quality can tooling that holds up to the challenge or wear resistance. Our compression tooling and draw tooling holds up in the most intense manufacturing situations. Connect with us today to start your quote.